This presentation will describe the importance of the Fourth Trimester (the 3 months following a birth) and the overlooked opportunities for health promotion and disease prevention. The speaker will highlight links between maternal health and wellbeing and infant development / family function. She will share emerging issues and strategies for improving postpartum care and lead the group in some discussion about how service providers who traditionally only focus on young children can better support their mothers as well. The speaker will share specific information about mothers of medically fragile infants. 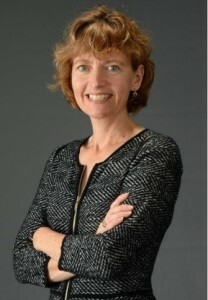 Dr. Sarah Verbiest is a Clinical Associate Professor at the UNC School of Social Work and the Executive Director of the Center for Maternal & Infant Health in the UNC School of Medicine. She is the CDC Senior Consultant for the National Preconception Health and Health Care Initiative and the director of the Every Woman Southeast Coalition, a regional preconception health initiative. Dr. Verbiest leads several programs addressing the needs of women, pregnant women, new mothers and their infants – including tobacco cessation, recurring preterm birth prevention with 17P and postpartum health and wellness. She earned her graduate degrees at UNC-CH including a Master’s in Social Work, Master’s in Public Health in Maternal and Child Health, and a Doctorate in Public Health Leadership from the Department of Health Policy and Management. Fahey J, Shenassa E, Understanding and Meeting the Needs of Women in the Postpartum Period: The Perinatal Maternal Health Promotion Model, J Midwifery Women’s Health 2013;58:613-621. Raju, T. N., Mercer, B. M., Burchfield, D. J., & Joseph, G. F. (2014). Periviable birth: executive summary of a joint workshop by the Eunice Kennedy Shriver National Institute of Child Health and Human Development, Society for Maternal-Fetal Medicine, American Academy of Pediatrics, and American College of Obstetricians and Gynecologists. American journal of obstetrics and gynecology, 210(5), 406-417. Transportation/ Directions: The most reliable place to park is in the UNC Hospital lot on Manning Drive. Parking fee is $1.50/ hour. The Carolina Inn next door on Pittsboro has space-available pay parking for a flat fee of $20/day. There are also numerous “park & ride” locations in Chapel Hill, with bus service to (or near) the School of Social Work. Directions.